Getting the most out of the roof for your commercial building or industrial warehouse takes more than just inspecting it once in a while and hoping it’s ok. Out of sight should not mean out of mind, and it is important to treat your roof as you would any vital piece of business equipment or machinery – with regular care and ongoing maintenance. Let’s look at some of the ways you can ensure that your roof will remain in good condition. The number one tip for extending the life of your commercial or industrial roof is to inspect it on a regular basis. You can either do this yourself or you can have a roofing professional inspect your roof for any issues at certain times during the year, including after the summer storm season. If you have tradesmen accessing your roof regularly – for example, to maintain air-conditioning units or to clean skylights or windows – it is also important to give your roof a visual inspection to ensure nothing has been knocked out of place or for any damage. Problems with roofs can be a little like problems with teeth: the longer you leave the issue the worse it can get. Minor problems can quickly turn into serious ones, which in turn will require costly fixes and ongoing maintenance. In some cases, a roof that has been neglected for a length of time may be beyond repair and need to be replaced. 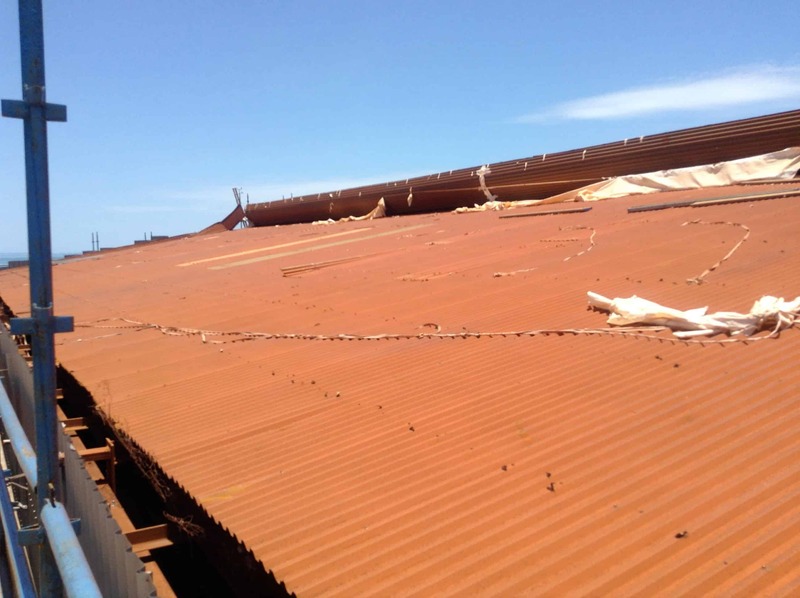 It is easy to avoid this kind of expense to your business by ensuring that any required repairs are completed promptly by commercial and industrial shed roofing professionals. If you have an industrial warehouse or commercial building you will need to ensure that the surrounding areas are not interfering in any way with the roofing. As an example, buildings that are too close to overhanging trees or dense bush can be damaged by branches, leaf litter blocking vents and skylights whilst simultaneously causing build up in the guttering and downpipes. It is important to maintain these areas with regular pruning, and have the gutters cleaned at least once on an annual basis. It’s all too easy to forget about the roof simply because we don’t tend to look up very often when walking into or out of a building. Don’t leave your roof inspections to chance – have a regular maintenance routine or schedule that involves a process for checking the roof and fixing any problems that might have been found. Finally, it’s critical that you talk to a roofing professional such as PRC Building Services about having regular inspections and a maintenance schedule for your commercial building or industrial warehouse. You want to be sure that you’re getting the best possible advice and work when it comes to providing a safe environment for your workplace. PRC Building Services are highly experienced in the design, construction and ongoing maintenance of high quality roofing. They also provide a range of building services related to roofing, giving you a one-stop shop for all your roofing needs. Here is an example of a Industrial Warehouse recladding project that PRC Building Services recently completed.